These 9 Incredible Historical Coincidences Will Leave You Flabbergasted. 1.) Lee Harvey Oswald’s Job. Just a month before President Kennedy was killed, his soon to be assassin, Lee Harvey Oswald, got a job at the Texas School Book Depository. Oswald would later use his job there as cover for carrying out one of the most heinous presidential assassinations in history. You just can’t help but wonder, what if Oswald had not gotten that job when he did. Would things have happened the same way? Probably not. 2.) A Booth saves a Lincoln. Prior to the death of Abraham Lincoln, his son Robert was taking a trip and passing through Jersey City, New Jersey. While waiting for a train, the young Lincoln fell onto the trains of an approaching train. Luckily Robert was pulled to safety before anything terrible happened to him. And the name of this good Samaritan? Well of course it was Edwin Booth, the stage actor and brother of John Wilkes Booth. You know, the man who would go on to assassinate President Lincoln. This has got to be one of the weirdest coincidences in history. 3.) The start of World War I hinged on a wrong turn. Gavrilo Princip (left) and Archduke Franz Ferdinand (right). It was then, as he was leaving the cafe, that he saw the Archduke’s car trying to turn around just outside the cafe. The driver had made a wrong turn. Princip acting without thinking went and killed the duke and his wife. If only the driver had had a better sense of direction, World War I might never have happened. The American acting icon James Dean was killed in a terrible car accident in 1955. The car he was driving at the time was a very nice Porche sports car. The car, though, continued to wreak havoc on people for years after his death. 1.) When the car was taken to a garage after the accident, its engine slipped out and shattered the legs of one of the mechanics. 2.) A doctor eventually bought Dean’s car’s old engine. He put it in a race car. The doctor was killed in a crash during one of his races. 3.) Some people thought it would be a good idea to reassemble Dean’s car. For no apparent reason the shop that did the reassembly burned to the ground. 4.) The car was then taken to be displayed at a showroom in Sacramento. It fell off of its display mount and broke a teenager’s hip. In 1959 the car finally met its end when it mysteriously broke into 11 different pieces. Thank goodness. 5.) Halley’s Comet and Mark Twain. In 1835 Mark Twain was born on the first day that year that Halley’s Comet appeared. Then when he died in 1910, he did so on the first day of the comet’s appearance that year. Twain, in fact predicted that would happen. “I came in with Halley’s Comet in 1835. It is coming again next year, and I expect to go out with it,” he said in 1909. 6.) The Titan Vs. The Titanic. Years before the Titanic met her very real fate at the bottom of the Atlantic Ocean, Morgan Robertson wrote a book called “Futility.” In it he describes a ship very much like the Titanic, called the Titan. The Titan is supposedly unsinkable, but strikes an iceberg and sinks, killing most of its passengers. If that wasn’t uncanny enough, the tragedy in the book even happened in the same month as the real sinking of the Titanic. 7.) The 21st of the month. 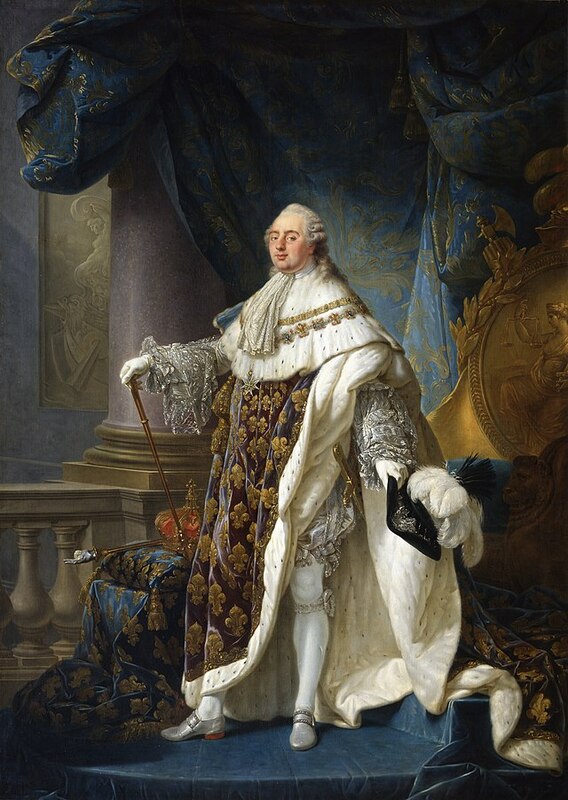 When King Louis XVI of France (you know the guy who was king during the French Revolution) was a young boy he was warned by an astrologer to always be on guard during the 21st of each month. This dire prediction terrified Louis, so he never conducted any business on the 21st of the month. However, the French Revolution forced Louis to give up this habit. On June 21st, 1791 he was arrested along with his wife trying to escape the country. Then on September 21, 1791 France abolished the Royal system, then on January 21, 1793 Louis was executed by the guillotine. 8.) Andrew Jackson and the broken handguns. In 1835 Richard Lawrence tried to kill then President Andrew Jackson. Lawrence had two pistols on him for the job. He approached Jackson and fired one of the pistols at him, it didn’t go off. Jackson then fought with Lawrence, trying to subdue him. That’s when he took out the second gun to try again to kill the president. This one too malfunctioned and didn’t go off. That’s when the crowd finally stepped in and stopped Lawrence. Later when police tested the guns Lawrence had been carrying, both were determined to be perfect working order. 9.) Stalin being cursed by Tamerlane. Tamerlane was a warlord in Asia during the 14th century. His brilliant military tactics gained him a vast area of control. His wars also caused the deaths of at least 17 million people. In 1941 then Soviet dictator Joseph Stalin ordered a team of archaeologists to open up the tomb of Tamelane in what is today present day Uzbekistan. When the team opened the coffin they found an inscription that read: “Whoever opens my tomb shall unleash an invader more terrible an than I.” Only a few hours after opening the tomb, the German invaded the Soviet Union. In 1942 Stalin ordered Tamerlane’s remains back into the tomb with full burial rights. Not long after that, the German army surrendered at Stalingrad, which was the turning point of World War II. Real life. It IS stranger than fiction. He Holds His Girlfriend Close On Stage, But Their Next Move Made Me SCREAM! You’ve Probably Heard Of This Bone Cathedral, But You Still Won’t Believe What’s Inside It.